The Harrington Seed Destructor is edging closer towards commercial production, offering an additional strategy in the grains industry’s battle against herbicide resistance in weeds. Designed to destroy weed seeds present in chaff during harvest, the Grains Research and Development Corporation-funded HSD recently completed a series of harvest trials and demonstrations for growers in South Australia, Victoria and New South Wales. The results of those trials will be known in March-April this year when the season-opening rains stimulate germination of weeds, particularly annual ryegrass. The trials and evaluations are being overseen by Australian Herbicide Resistance Initiative (AHRI) researcher, Dr Michael Walsh, who says the trial sites will be revisited as soon as the break in the season occurs to assess the efficacy of the unit in reducing annual ryegrass emergence. “We are hoping for an early, widespread break so we can undertake the evaluations before growers apply herbicides,” said Dr Walsh, who is based at the University of Western Australia. Dr Walsh said the trials and demonstrations in the southern cropping region during December involved 15 sites over 16 days and a travelling distance of 4000 kilometres during that time. “We were very happy with how the trials went. 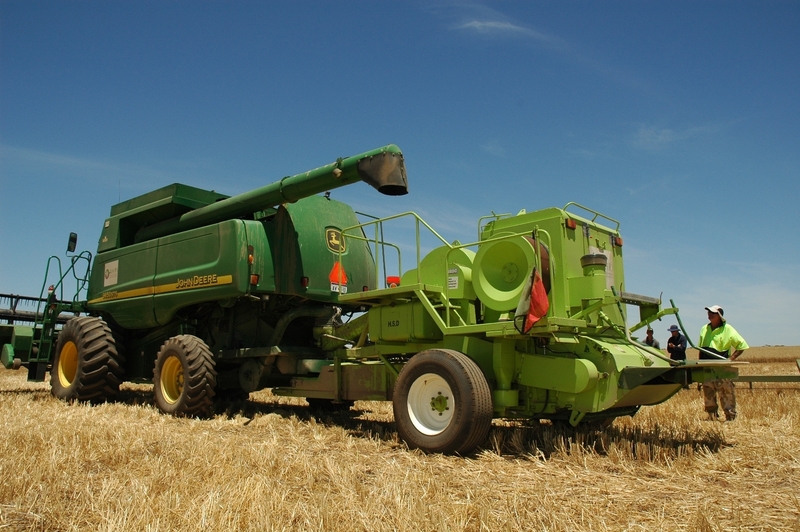 It was a huge success in terms of the number of grain growers who came out to see the HSD in action, and the feedback from growers was very positive,” he said. He said the trials, conducted as part of a new Rural Industries Research and Development Corporation-funded project focussing on harvest weed seed management systems, had demonstrated that the core principals of the machine’s cage mill were sound and that only some minor fine-turning of the HSD was required before it entered into commercial production, possibly this year. The GRDC is managing the commercial development of the HSD. The HSD has already been successfully evaluated in WA and is expected to be subject to a summer crop trial near Coonamble in northern NSW in late February-early March. The HSD has been developed by WA grower and inventor Ray Harrington, with assistance from AHRI, the University of South Australia and the GRDC. Towed behind a harvester like a chaff cart, the HSD has been designed around a cage mill crushing unit originally developed for use in the mining industry. Those involved in development of the HSD stress that it is not a “silver bullet in weed management” but is in fact one more string in the bow of overall integrated weed management. Caption: The grain industry’s latest weapon in weed control, the Harrington Seed Destructor, in action at Bute in South Australia. 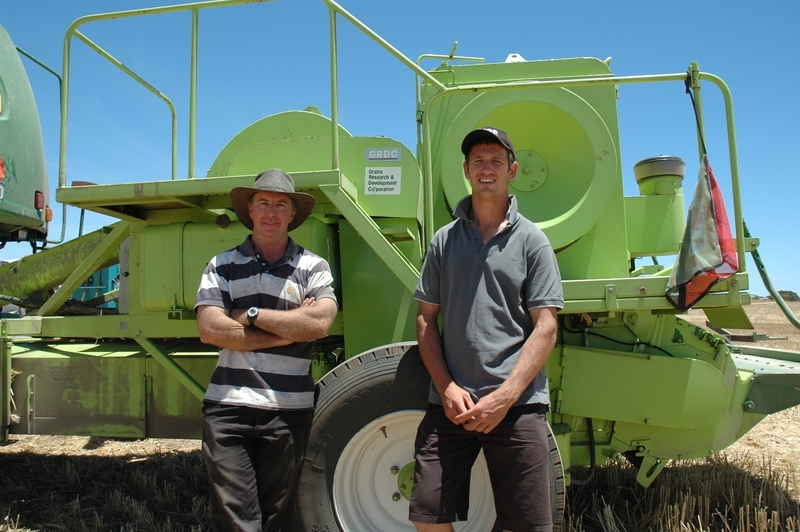 Caption: Australian Herbicide Resistance Initiative (AHRI) researcher, Dr Michael Walsh (left), and South Australian rural consultant Sam Trengove in front of the Harrington Seed Destructor during a demonstration at Bute in SA.